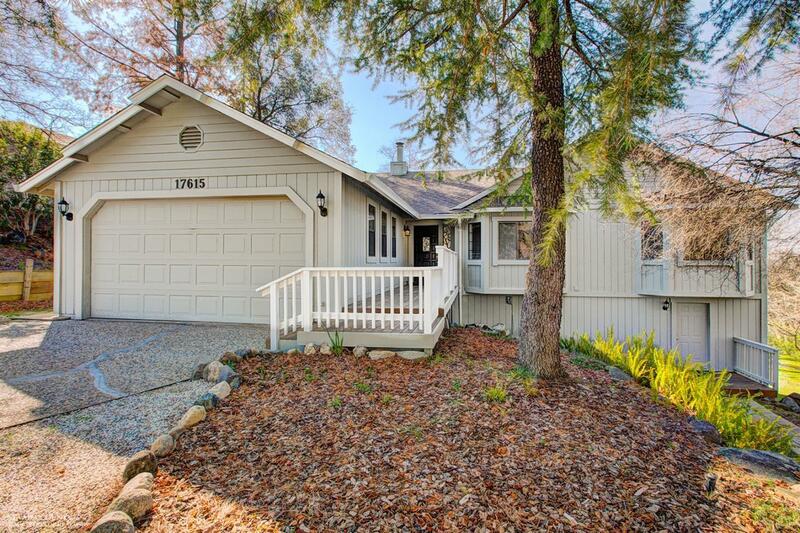 Outstanding Single Story Residence on a quiet cul-de-sac on private & gentle parcel. Level driveway and Level entry make access easy. Arrive through the Entry Vestibule and segue to the wonderful Great Room. Vaulted wood ceiling & hand-scraped hardwood floors highlight this large space with cozy gas stove. The Spacious Kitchen & Dining area adjoin the GR. Entertainer's Kitchen features generous counter space, cabinetry and modern ss appliances. Dreamy Master Suite with Vaulted ceiling and bay window siting area. 2 more bedroom plus bath on this level. Fantastic Deck overlooks private & level yard PLUS filtered* Lake VIEWS! Lower Level* with Separate Entry is the ideal live-in/GUEST APARTMENT or home office/art studio. Features 2 rooms & bathroom. Enjoy all the amenities of gated Lake Wildwood. Boating, Golf and resort-like living.